The acclaimed trainer was distressed over the fact that many schools were barely able to keep their doors open. In strip malls across the country, some schools had been forced to permanently close their doors. 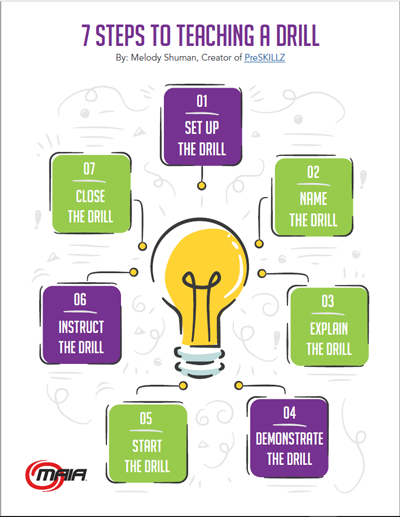 Eric the Trainer’s solution was to create a program that would put new students in the door. His hope was that although they signed up for a fitness class, they would also morph into the school’s martial arts program. Fleishman flexed his status as a “Trainer to the Stars” to acquire a few of his A-list celebrities to help promote the new program. “There are quite a few showbiz celebrities and music icons that train with me on my Discovery-network show, Celebrity Sweat,” Fleishman explains. “By getting them involved in Ninja Sweat, we can offer schools an incredible promotional program. “With the Hollywood promotional machine that we have, we’re going to do promotions in the areas where the schools are that feature Sleek Ninja classes. For example, in Omaha, Nebraska, the owner of Champion Martial Arts was one of the first guys to sign up for Sleek Ninja. We’re going to promote his school and our program throughout the area. “So, all of the people in Omaha will know that Champion Martial Arts is the one and only place they can achieve a fitness level designed by me, the same guy that trains all the famous celebrities. Fleishman went on to say that many dojos are closed in the morning and open daily only late in the afternoon. He feels that this is an excellent time to get people in the door for his Sleek Ninja workout. 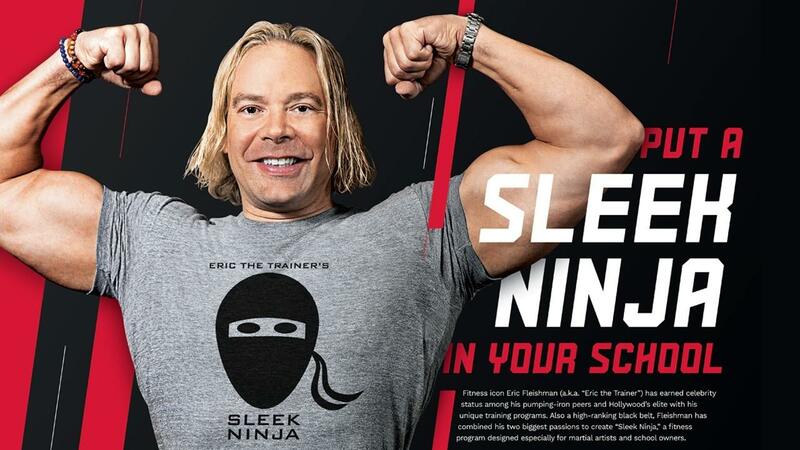 “Sleek Ninja is an exercise class that uses body-weight exercises to transform the body from that of a normal person to that of a sleek ninja,” explains Fleishman. “Anyone can become strong and flexible with lean muscle mass, ready to spring into action, with this program. The science of change for anybody is the right blend of diet, exercise and sleep. “We have a whole dietary component that will be taught as part of the class, as will the importance of sleep. Many people don’t realize that during sleep is the only time the body can change. All physical transformation occurs exclusively during slumber. “All of these components are part of Sleek Ninja. I couldn’t be prouder of the program. We’re going to grow. It’s going to be exciting and we’re happy to kick it off with our friends over at Century. “I’m one of the experts that Century looks to for advice from a fitness perceptive. Also, being a martial artist, we have so much in common. “But more importantly, Century is supporting our Sleek Ninja efforts by offering an array of products that will support this joint-venture program. It includes targets and mats that will be branded with Sleek Ninja. “Century is a great partner. We’re looking to build a relationship with them through education and motivation of martial artists/instructors to help them enlighten the world to the benefits of what we have to offer. But before Fleishman became the muscle-bound trainer of Hollywood’s elite, he had a lot of work ahead of him. One of those stepping-stones to success was his early introduction to martial arts. When he was 10, his father helped his skinny son take what would become his first step toward an amazing career in the world of physical fitness. “My father was a doctor in a small town; he knew that, in our family, we tend to be late bloomers,” Fleishman explains. “Dad realized that I was going to look like a little kid for many years while my friends were maturing around me. So, at age 10 in 1979, he took me to my first martial arts class to help give me more physical confidence in myself. Fleishman studied shotokan until he went to college, where he trained in taekwondo and began sparring in addition to joining Gold’s Gym in New Haven, Connecticut. Fleishman spent five years in New York City working as a personal trainer (ACE and TSI certification). It was here that he pinpointed the science of change through three major components: diet, exercise and sleep. He also noticed that girls like guys with muscles. in California and said, ‘This title means nothing to me if I can’t learn from the best.’ He invited me to visit him in Los Angeles. I became is apprentice and learned directly from him. It was the most amazing experience to see how he inspired people the way he did. “We spent a lot of time together. He was on a mission to change the world through exercise and proper nutrition. He had buzz phrases like: ‘If man made it, don’t eat it.’ ‘If it tastes good, spit it out.’ He was quite a character, but Jack would do or say anything to motivate people to live happy, healthy lives. Fleishman also got heavily into Japanese goju-ryu jujitsu with instructor David Pesko. Fleishman became obsessed with goju-ryu jujitsu. The training was so intense, he says, that when he started there were eight students in class. At the end of just one week, five had dropped out! “I was intrigued by the application of science merged into fighting forms that taught the most effective way to use angles and movements,” he explains, “And, as you master those angles and the flow, you start adding speed. For me, that’s where the beautiful art of destruction begins. After obtaining a black belt in jujitsu, Fleishman began training police officers in Los Angeles in arrest-restraint techniques and self-defense. According to Fleishman, the fitness world is very academic. People want you to learn from books and get certified by taking tests. But the world of martial arts is almost an apprenticeship. You learn from great instructors; you do practical tests in front of others and they give you feedback. “Because I was a martial artist for 10 years before I ever stepped into a gym, the way I process fitness and the way I wanted to learn from it wasn’t available at that time,” he says. To honor his mentor, on Fleishman’s 40th birthday he did 40,000 push-ups and all of the money raised was donated to Jack Lalanne’s favorite charities. Following in the footsteps of his idol, Fleishman has also become a TV personality, hosting Celebrity Sweat. “I told him okay. Six months later, I got a call from a company that was looking for a TV host for a show called Celebrity Sweat. Fleishman’s cable-network series a fun-filled romp that takes Eric the Trainer and his celeb pals all around the world doing all kinds of crazy antics. One minute they may be learning a cheerleading routine with the Dallas Mavs’ squad, the next minute they could be working out with Shaolin monks in China! The best part of the show is that you never know who Fleishman is going to be with or where he’s likely to be located. “We could be backstage at a big rock concert and do some stretches,” he explains. “Or maybe we’ll show up on a movie set and find out what the stars do between takes. It’s very much a free-form, unscripted show that lets everyone just be themselves having fun. “We’ve worked with everyone from country music stars like Reba Macintyre and Florida Georgia Line, to rock stars like Def Leppard and Nickelback. They’ll talk to us about the things that allow them to be healthy, happy and successful in their position of being some of the most watched people in the world. To learn more about the Sleek Ninja program, contact Eric Fleishman/Eric the Trainer at (323) 428-6100 or by email at [email protected].